Site: Machine cut, hand finished, painted with grass, roads, walks, water features, landscaping, cars & people. Landscaping: large and medium trees with accurate shrubbery per the landscape plan. Water features: lagoons, pools and ocean modeled to simulate depth and texture. 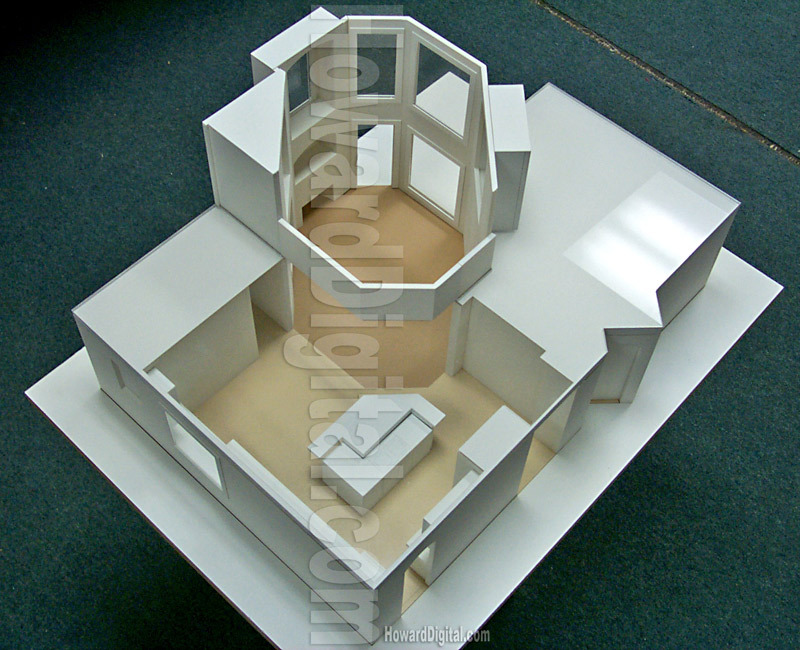 Buildings: Full color detailed laser cut acrylic buildings. Towers: Plexiglas construction with digitally enhanced facades.